The Music Scholarships are awarded for ability in musical performance, judged on the basis of auditions to be held at the University, annually in April. The auditions are adjudicated by a panel normally consisting of the University’s Director of Music, a member of the Institute of Education responsible for teaching in music, and others nominated by the Director of Music. Vocal awards are offered for all voices (soprano, alto (male or female), tenor, baritone, bass). In the audition candidates will be expected to sight read and may be given aural tests. Fluency in reading conventional notation is normally expected. They will also be required to sing two contrasting pieces totalling no more than 10 minutes. Repertoire does not have to be classical, but the contrast is important. Accompaniment will be provided if required. The audition will include a short discussion of the candidate’s musical background and aims. Instrumental awards are offered for all instruments. Grade VII or VIII of the Associated Board, where this is appropriate, will be regarded as the normal minimum level of attainment by candidates. In the audition candidates will be required to perform two contrasting pieces of their own choice, totalling not more than ten minutes. Repertoire does not have to be classical, but the contrast is important. Accompaniment will be provided if required. They will also be examined in sight reading. Candidates offering piano or organ will also be expected to sight read from a choral score and to accompany voices or instruments if required. The audition will include a short discussion of the candidate’s musical background and aims. Those students holding vocal awards will be required to sing in both the University Chamber Choir and the University Chorus, to take singing lessons, and generally to participate in the University’s choral activities. Those students holding instrumental awards will be required to play in the University Symphony Orchestra and the University Chamber Orchestra, the University Brass Band or other University ensembles as appropriate. Also to participate in and initiate chamber music, to take instrumental lessons, and generally to participate in the University’s instrumental activities. Those holding the keyboard scholarship shall be required to accompany choral rehearsals and to deputise from time to time for the Chorus pianist. Keyboard scholars shall also be given opportunities from time to time to conduct and coach. Singers and instrumentalists from other traditions will be required to develop a programme which demonstrates their commitment and contribution to the musical life of the University. All scholars shall be required to perform at least once annually in a university Lunchtime Concert. The value of the Scholarship Award will be £800. The maximum duration of a Scholarship will be the same as the academic course for which the candidate is applying. 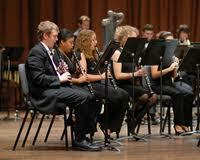 Each Scholarship will be reviewed annually by the Director of Music. Scholarships may be withdrawn if the terms are not fulfilled. Students whose course requires them to be absent from the University for a whole year, or who withdraw temporarily from the University for a whole term or more, will not continue to hold their Scholarship during that period, but will be eligible for re-election to a Scholarship upon their return to full-time study in the University. We have also created the award of an Exhibition; the value of which is £400 per year. The regulations governing Exhibitions are the same as those for Scholarships. Applications made after the closing date may be considered at the discretion of the University’s Director of Music. There is no charge for competing, and no expenses will be offered by the University to competing candidates. Every candidate to whom a Scholarship is offered must accept or decline the offer within two weeks from receipt of the offer. For further information, go to the Music scholarship webpage. Or contact Stuart Dunlop, Director of Music at Music@Reading; telephone +44 (0) 118 378 8518 or email music@reading.ac.uk. Demikianlah informasi mengenai Music Scholarship Award, University of Reading, UK semoga berguna bagi anda. After a long time using funny songs as ringtones, I switched to using English ringtones for my phone, I feel very satisfied. If you love, you can visit bestringtone.net webiste to download high quality free ringtones and be updated daily.